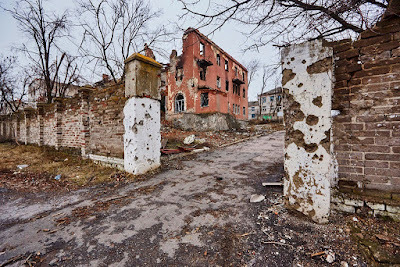 UNITED NATIONS, USA -- The tenuous situation in eastern Ukraine continues to be marked by sporadic fighting and a crippling humanitarian crisis forcing many civilians to seek refuge in underground shelters or in neighbouring countries, the United Nations relief arm confirmed today. In its latest situation report on the Ukraine crisis, the UN’s Office for the Coordination of Humanitarian Affairs (OCHA) painted a stark portrait of daily life in the country’s conflict-affected areas amid reports of ongoing hostilities at Donetsk airport, as well as in the towns of Shyrokyne, Avdiivka and Shastia. Meanwhile, casualties are also being reported daily. According to OCHA, between mid-April 2014 and 14 May 2015, at least 6,334 people have been documented as killed and 15,752 as wounded while unexploded ordinance and landmines pose a continuing threat to civilian lives. Against that backdrop, the Ministry of Social Policy has registered some 1.3 million people as internally displaced – an increase of about 44,000 people in the past three weeks alone – while the exodus from the country is also on the rise. The Office of the UN High Commissioner for Refugees (UNHCR) has reported that about 857,000 Ukrainians have sought asylum, residence permits or other forms of legal stay in neighbouring countries – an increase of about 23,000 people in the past two weeks. Life in the embattled provinces of eastern Ukraine is also precarious from a healthcare standpoint as services are increasingly curtailed due to lack of medicine and medical equipment. Access to healthcare is severely constrained across the east and in non-Government controlled areas in particular, because of lack of medicine and medical equipment. OCHA added that there is an increased burden on healthcare facilities particularly due to the influx of displaced families.